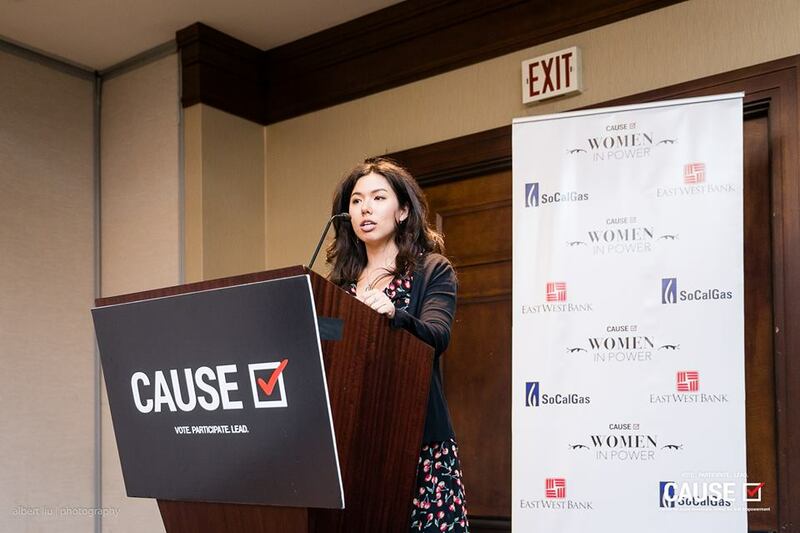 Lindsey Horowitz, Programs Director of CAUSE, opened the program by sharing how the Women in Power program strives to empower emerging women leaders by creating opportunities for candid discussion regarding the issues they face. She introduced the evening’s panelists, Tracy Lawrence and Suzy Ryoo, along with the moderator, Kim Yamasaki. 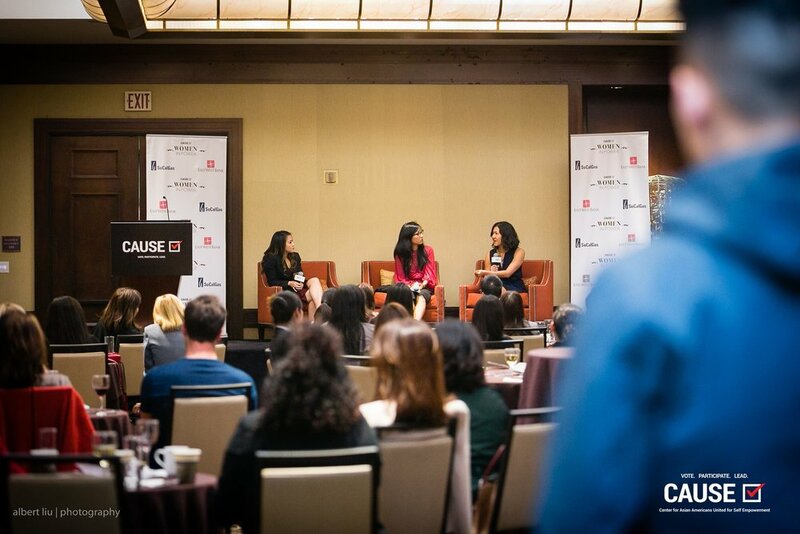 As the moderator, Kim Yamasaki, Executive Director of CAUSE invited the panelists to speak on the challenges in working with the men in their industries. 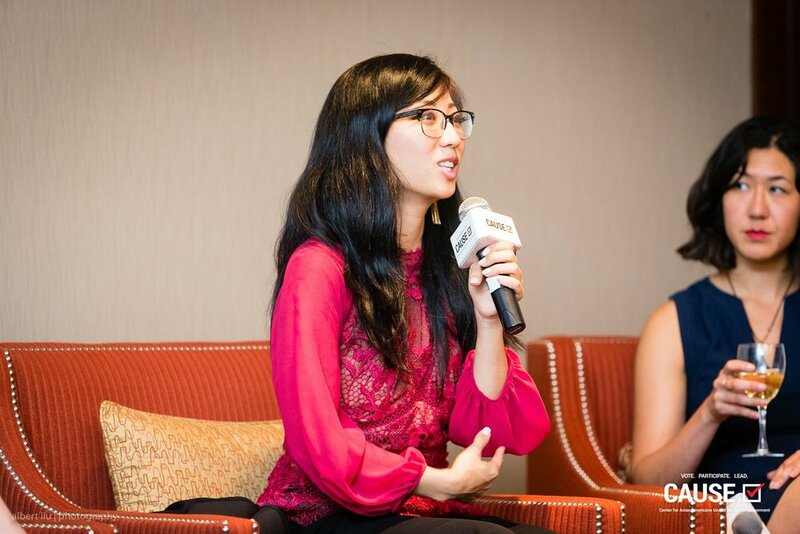 Instead, she decided to embrace her more feminine leadership style, saying, “I want to build a different kind of business…a ‘love’-company.” She explained that her “love-company” is a work environment where “you give your people and everyone you work with your respect,” regardless of their ethnicity, gender, or sexual orientation. Suzy stressed that by being proactive in building relationships with people who have vastly different experiences, we can increase the diversity in our thinking and become leaders who consider a larger multitude of perspectives. As the program came to an end, guests were encouraged to share their questions with the panelists and to connect with each other. Older PostVOICE Workshop #3: "Hope for the Future"